We all know the steps we should take to keep ourselves physically healthy - nutrition, exercise, rest etc. But, do we know how to keep ourselves Mentally Healthy? We need to teach students that their mental health is something that they can actively work on to maintain, just like their physical health. 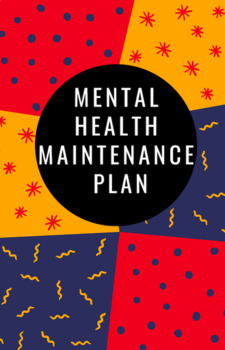 This product has students create a mental health maintenance plan that they can use. A single point rubric is also included.